With its location just outside Hodgenville, KY, the Lincoln Bedroom is CCI’s commemoration of Abraham Lincoln’s birthplace. 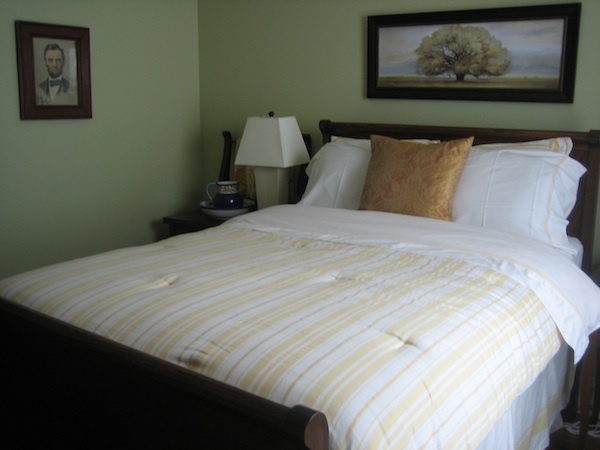 It offers a high double-size oak sleigh bed and companion dresser. 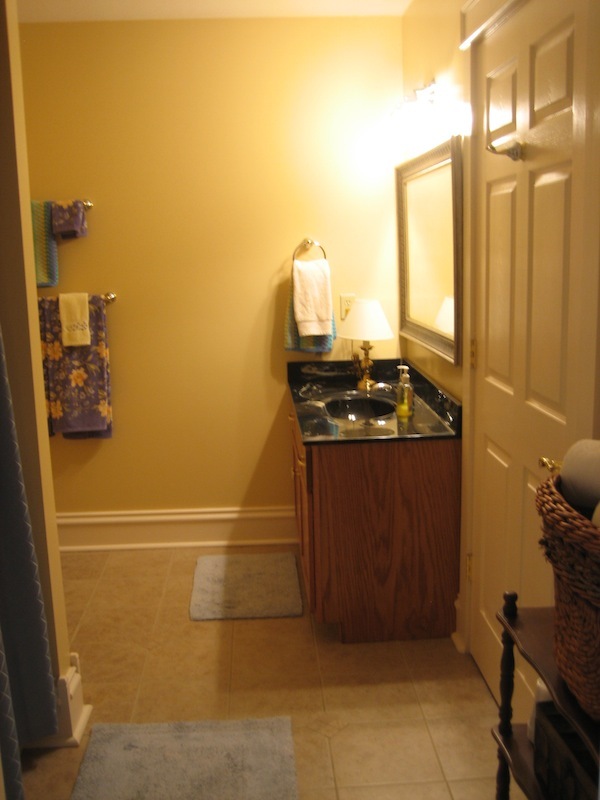 The bedroom also has direct access to the spacious bathroom. Nestle among the Lincoln artifacts and drift into slumber. 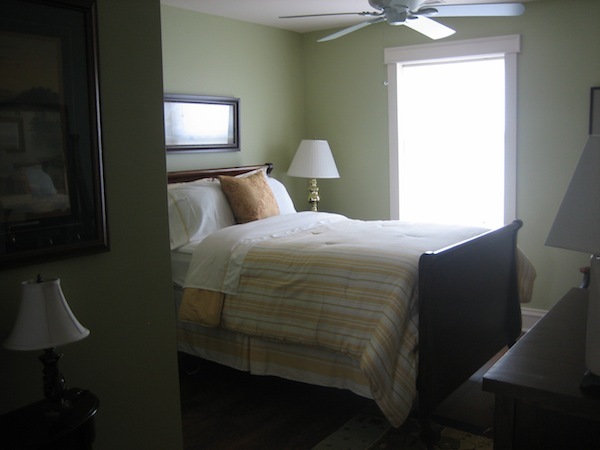 The Lincoln Bedroom can be rented as either a private suite or an individual room with a shared bath. See our Pricing Chart for information. Contact us for multiple night discount and group rates. Tonight we sat outside and watched a colorful sunset over a field of baby corn. So many fields of green! We listened to so many sounds not heard for a long time.